If you weren’t hungry before, how do you feel after seeing this photo of delectably fresh seafood from Dreams Tulum Resort & Spa? Happy Wordless Wednesday Dreamers! 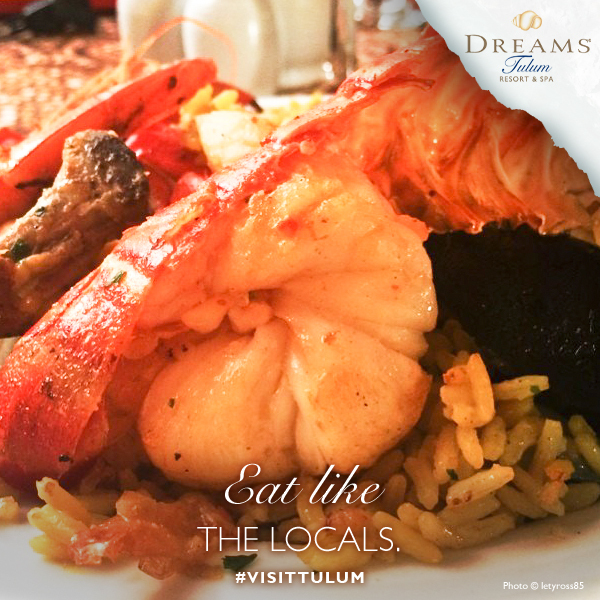 Embark on a culinary adventure at Dreams Tulum Resort & Spa! This entry was posted in Dreams Resorts & Spas, Dreams Tulum and tagged all-inclusive, beach, Dreams Resorts & Spas, Dreams Tulum, lobster, Mexico, paella, seafood, shrimp, Unlimited-Luxury, vacation. Bookmark the permalink. ← Take a peek at what’s going on at Dreams Resorts & Spas!